The Pictor family is one of the great Box families of the late Victorian period. The members were important quarry owners and dominated the trade. They built splendid houses, championed the Methodist cause and were instrumental in amalgamating local firms to become the Bath and Portland Stone Firms Limited. Yet their story was a tragic one and could be considered to have ended in failure. Job Pictor of Ramsbury and his wife Mary Fluester, from Biddestone, founded the Pictor dynasty. They came to Box before 1827 (a decade before the excavation of Box Tunnel), took up work in the quarry industry at Boxfields in 1829 and became extremely wealthy, very quickly. In 1841 they were living at an unidentified property in Box, which appears to be near the site of The Old Dairy, referenced as 357 in the Tithe Apportionment map. He also owned other plots in the Townsend area (reference 470). Job was working as a mason and nearby were several other stone mason families including the Strongs and Nowells. There were many families in Job and Mary's house: three of their own children, Mary's brother Edward Fluester, two younger Fluester siblings and Jane Holder. Next door were the Little family, consisting of Aaron, a carpenter, his wife Ann, their three children and four tenants. These are all family names that recur later in the story. Job and Mary were hard working and seized the opportunities that occurred in the stone industry. Within ten years Job was running various businesses and described himself as farmer 126 acres employing 7 labourers, builder and quarry mason employing 14 men. Mary was working as postmistress and shopkeeper. We know that someone called John Pictor (or Picton) was running the Post Office in Box in 1855 and we might speculate that they were still living in the centre of the village. We get glimpses of their rise in power and the fascinating world in which they lived. The families of Little and Fluester (referred to earlier) were all involved in an horrific murder at Ashley in 1841. Ann Little, the victim, was killed by her then partner, Crafty Ike Smith, who had been drinking at the Grove Inn, Ashley, the pub of landlord Benjamin Fluester. It was not the Pictors only brush with murder. In 1844 Mary was a witness to the death of a baby left in the street on 20 December 1843. She heard a cry and found a baby with a hood on its head and a small black shawl handkerchief round its body. We know approximately where they lived at that time because another witness refers to It was about four minute's walk from the Queen's Head to Mrs Pictor's. The unmarried mother had left the baby out of desperation but the child died in the Lacock workhouse and the mother was sentenced to six month's imprisonment. Mary's testimony included an interesting reply about her involvement in the case: She said the child had been placed outside the steps near her own door: and that she and her husband were considered kind to the poor. The Pictors were respectable; they were caring Methodists and teetotallers, the sort of people who were welcomed in the village. We can understand how Job's business developed from legal cases of this time. Job Pictor had been instrumental in the building of Box Tunnel when he was in partnership with William Jones Brewer. It appears that they formed a partnership at Paddington possibly as a depot for the distribution of Box stone but in 1843 the arrangement was dissolved, the partners being called quarrymen of Box Wilts and Paddington. Job was involved in various deals at this time and had to resort to litigation to recover debts owed to him. In 1845 he sued Thomas Cotsworth, builder of Reading and Salisbury, and enforced his bankruptcy. Job took over the business, which may have led him into the building trade. The workforce that Job employed were of dubious integrity, no doubt cheap and willing but not necessarily honest. William Smith, aged 15, son of the murderer of Ann Little, was an employee in 1841 and Job sued his brother, James Little, who had stolen bread from him in 1849. In 1856, a year before Job's death, the family had developed an entirely new quarry, Clift Quarry, by driving an adit into the heart of Box Hill on the A4 road, opening extensive seams of high-grade stone. They developed the site with a tramway and Steam Engine at Clift Quarry and built a house there. In 1861 Ann was living in the property still called Box Quarries by the Road (meaning at Clift on the A4, rather than the quarries in the village of Box Hill around the Quarryman's Arms). She described herself as stone merchant. William (21). A celebratory dinner was attended by 300 friends of the firm, including Mr Marchant, the London agent of the firm, responsible for selling the stone into the London market. There were toasts to Mrs Pictor, who had recently retired from the firm, implying that she had been significantly involved after Job's death. There were hints that the business was suffering and returns diminishing with a plea from Robert Pictor that Unity was Strength and securing that amount of confidence which had hitherto existed between masters and men. Mr Marchant, knew that she had been a dynamic influence and feelingly alluded to her retirement in 1868. The eldest son, Robert, married Charlotte Newman in 1852 and was probably admitted to the firm in that year. He was heir-apparent and Charlotte had their first child, Herbert Robert Newman Pictor, the following year. Robert was cultured and sophisticated but not flamboyant. In 1861 they were living at Boxfields Farm next door to his mother at Box Quarries with one servant, local girl Jane Hancock, farming sheep on 150 acres, employing 5 men and 3 boys. 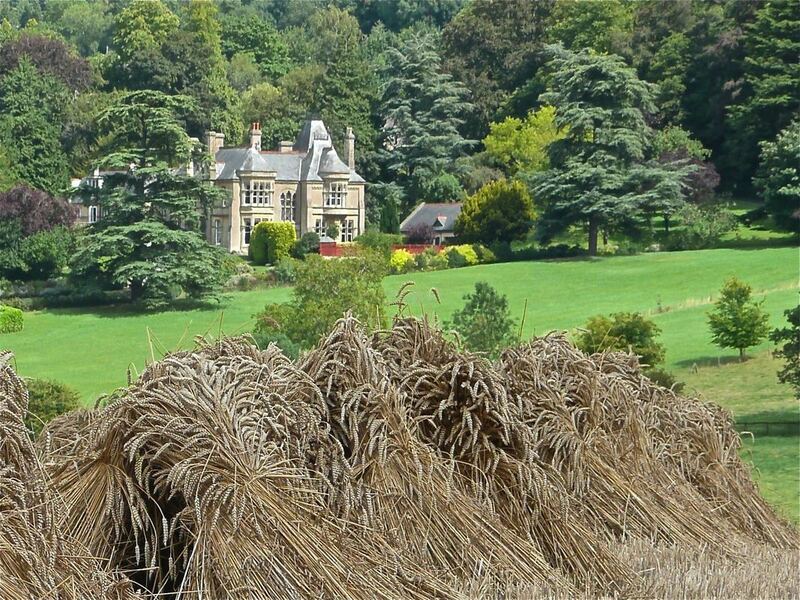 The farmhouse he built there was called Rudloe House by contemporaries, now Rudloe Park Hotel. Robert Pictor was a local person of eminence, elected to the Box School Board in 1871, he was instrumental in the building of a new Methodist Chapel at Box Hill in 1868, and a great reconciler of the Church of England and the Methodist movements in Box. In 1866 he was sufficiently well-known that he stood for election as Guardian of the Chippenham Union Workhouse. No 6 Corsham Quarry (Near Garrison Church at RAF Rudloe), No 7 at Spring Quarry; and no 5 Quarry at Box, followed by Monks Park and Eastlays, (Gastard). Robert ran the company under a tight rein. A report in 1863 had it that he busied himself arranging prices, reconciling differences, and reducing the working of the quarries to a system by which all disputes are avoided. The company kept seeking cheaper transport costs and Robert was a director of the Wilts and Berks Canal Company which had opened in 1810 but became un-navigable after 1910. 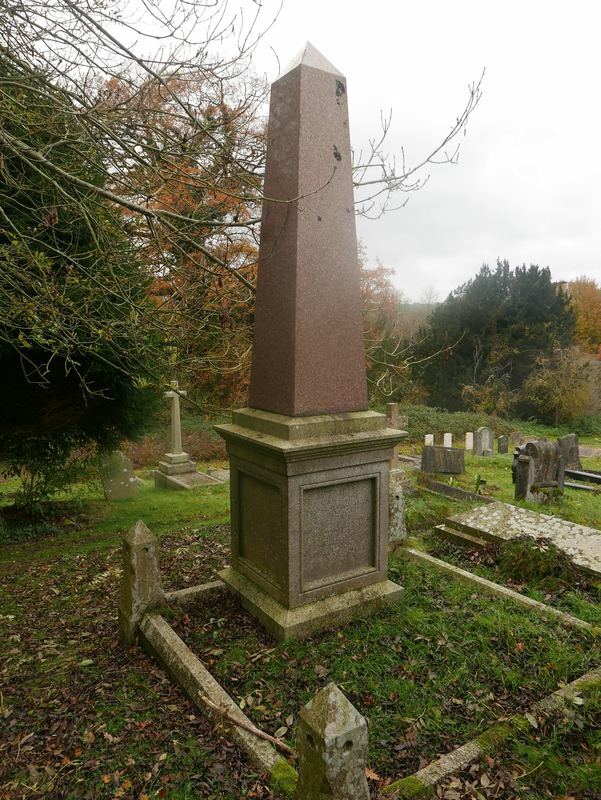 But tragedy struck when Robert, the senior partner in the great quarrying firm Pictor Bros, died suddenly on Sunday 11 February 1877, aged only 46. He went for a stroll towards the Bradford Road at 6.30pm and collapsed. His body was found by passers-by on the roadside the following morning. Worst of all, unlike the precedent of his mother, he left no will and years of legal wrangling followed. We get some idea of just how important the Pictor family was from the details of the 1878 wedding of Robert's second daughter Rosina Maria to Charles Arthur Line, son of Bath cabinet-makers Line & Sons. Robert had died a year before but the family was determined to declare the continuing affluence of the family. The little village which crowns the summit of Box Hill was on Wednesday morning in a state of unwonted excitement. The echoes of surrounding hills were ever and anon awakened by the firing of cannon. They were married in Box Hill Chapel a small and primitive-looking affair over the pulpit of which was in large and striking text Today, if you will hear his words, harden not your hearts. Two triumphal arches spanned their way with the words Crown them, Lord of all. It was all rather overly demonstrative. The business came under the control of Cornelius James Pictor (known as CJ or James). He took over most of the duties of his elder brother. On his death Robert's financial affairs were found to be messy and made more complicated by the close control he had exercised over the Firm. There were several legal disputes, some with sub-contractors, such as a case in 1878 between the Firm and contractors, Abraham Ford & Henry Butler. They had ceased to quarry stone because the return was not sufficient as the seams got more difficult to work. Others are obscured by time, such as a charge of embezzlement made by CJ Pictor against George Sawyer. In December 1887 CJ Pictor played a major part in the amalgamation of seven local firms (Pictor & Sons, Stone Brothers Ltd, Randell, Saunders & Co Ltd,, Isaac Sumsion, Corsham Bath Stone Co Ltd, R J Marsh Ltd and Samuel Rowe Noble) into the Bath Stone Firms Limited. CJ became the first chairman. It was the end of Pictor & Sons but not the solution for the declining industry because the united business took over the debts of individual firms, including £6,000 debentures owed by Stone Bros Ltd, and was too highly geared with fixed establishment charges, wear and tear, and depreciation amounting to nearly half of the earnings. The arrogance of the directors in business matters was questioned by Mr Randell, former quarry owner in the first AGM. An open letter from A Lower Hill Quarryman in December 1889 spoke pitifully that We at our crane have stone that was dug at the commencement of the present year (and not therefore paid for by the Firms) , and as to starvation wages I know a man and his two sons who have worked for 9s.0½d per week for six months. There was worse: the lack of middle management resulted in fatalities, including 13 year-old Frank Bradfield, horse minder in 1888. There were many other similar incidents, including a roof fall at Farleigh Down which killed Charles Wilfred Baldwin in 1889, caused by quarrymen excavating the roof too thinly in order to make additional profit. CJ Pictor soon realised that the management of the Firms wasn't his forte and he had retired before he was 50 years of age by 1891 to live off his means as a bachelor with his sisters Mary and Louisa, niece Lilian and two servants in Fogleigh House. The house had been redeveloped in 1881 with ornate Gothic carvings and stained glass Pictor coat-of-arms. It is not possible to do justice to the whole of the Pictor family in this article but it is worthwhile to record the history of William Smith Pictor, the fourth of Job's sons. In 1867 William married Emma Wilson of Guildford in 1867 and they bought Hazelbury Quarry from the Thynne family in 1868. They set up home at Pickwick House, Bath Road, Corsham after 1871 and lived there until William's death in 1890. At some point the family moved into Arnold House, 31 High Street, Corsham and on the death of their daughter, Dorothy Joan Pictor, in 1959 she left the property to the Corsham Parish Council for the use of the people of Corsham. For many years it has been used as the Tourist Information Centre. The directors of the Bath Stone Firms Limited believed that by further amalgamation they might make the firm profitable. In 1894 they took over the Bristol Pennant Stone Firms Ltd making an effective monopoly of Pennant stone and promised annual dividends of 8%. In 1898 they acquired their first Portland stone business; by 1904 they dominated the Portland stone trade; and in 1911 the company changed its name to the Bath & Portland Stone Firms Ltd.Some time after CJ's retirement, Robert's eldest son, Herbert Robert Newman (usually called HRN) Pictor, took over the running of the Firms but the company debts were crippling and the decisions made by the directors were risky, verging on reckless. ​HRN suffered the ignominy of going personally bankrupt in 1907. He blamed Depreciation of freehold property and shares, and losses on becoming guarantor for William David, now a bankrupt. He had guaranteed £9,400 to the firm David & Sant Co Ltd until Mr David jumped ship and gave his attention to The Forest of Dean Stone Firms Ltd. The building trade slumped in 1904 with HRN complaining There is no building going on. As well as the financial disgrace, HRN had to resign many of his civic duties including his seat on Wiltshire County Council. It was a very sad ending for the family which had enjoyed such a sparkling rise up the social scale. The Pictors were major house builders in Box, as well as stone extractors, building homes for themselves and for their workers. Their epitaphs in the village are the two grand properties they owned: Fogleigh House, built by Cornelius, and Rudloe Park Hotel (sometimes called Rudloe Towers), which Herbert had built by the same architect. Both Fogleigh and Rudloe House are Grade II listed buildings. Listing marks the national importance of the properties as being of special architectural or historic interest so they can be protected for future generations. The listing is made by Historic England who consider if a building merits listing and then recommends if it should be listed or not to the Secretary of State for Digital, Culture, Media and Sport (DCMS). If recommended for listing they also compile the listed building description and recommend the Grade I , II* or II. As noted on HE web site Grade II buildings are of special interest; 91.7% of all listed buildings are in this class and it is the most likely grade of listing for a home owner. 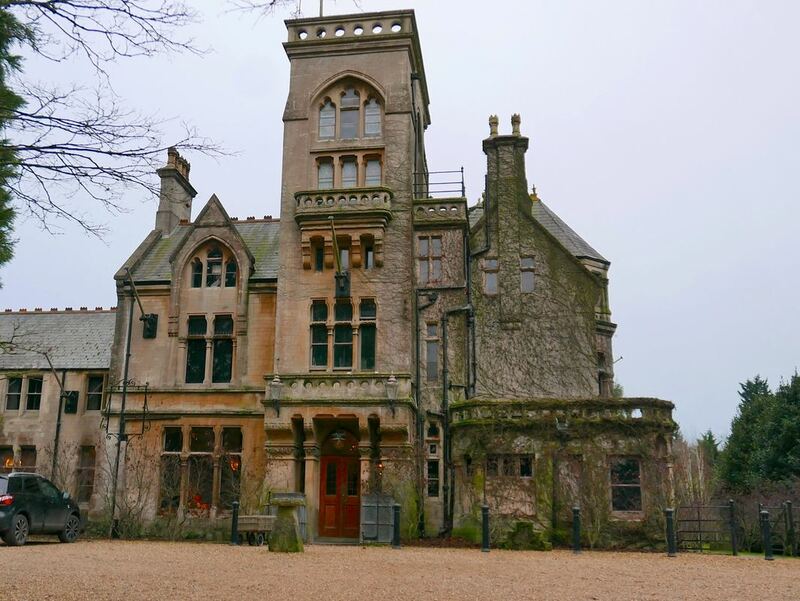 Fogleigh House was designed by the architects James Hicks of Redruth in 1881 and has an entrance tower with Gothic arched porch flanked by buttresses carrying beasts with Pictor shield and monogram. Over pointed arch is carved group representing 'Industry' set in base of a large canted oriel bay. There is an interesting reference on the tomb of Thomas Strong (1779 - 1851) in Box churchyard calling him of Fogleigh House, implying that the Pictors took over the property from the Strongs, another of the great quarry-owning families. This reinforces the Tithe Apportionment reference that Thomas Strong owned Fogleigh in 1840 (Ttithe map reference 99). The house at Rudloe Park (now Rudloe Park Hotel) was built by HRN as a grand statement of High Victorian Gothic style by James Hicks, although of slightly less elaborate materials and design. It was built with its own tower but without obvious Pictor epitaphs in about 1875. The area around The Wharf was built in 1864 as a railway siding for the transport of stone. The extensive properties around the Clift quarry works has a reference to CJ Pictor and a date of 1870 on Clift House and the same date for Clift Cottage to James Pictor (presumed to be CJ again). At one stage they were the offices to the quarry. Similarly, the estate around Rudloe was developed as a family area with references to Rudloe House owned by Robert in 1875 and, after his death, by his wife in 1887. Job Pictor built several other houses in the area, including Jeffery's Cottage, Old Jockey. The family developed many of the terraces at Box Hill. Quarry foreman George Mould and later Sid Dancey and their families lived in Tyning Cottages built by Robert Pictor. The Pictors were one of the grandest Box families in the late Victorian period. Their rise was spectacular and it is hard not to admire the work commitment of Job, Mary and Robert. But the quarry industry was always subject to extremes of profit and loss. The economic factors that had made Job and Mary so wealthy, reversed as quickly in the years before the First World War, partly resulting in HRN Pictor's bankruptcy. We have been unable to find any photographs of the family and would love to hear from you if any exist. 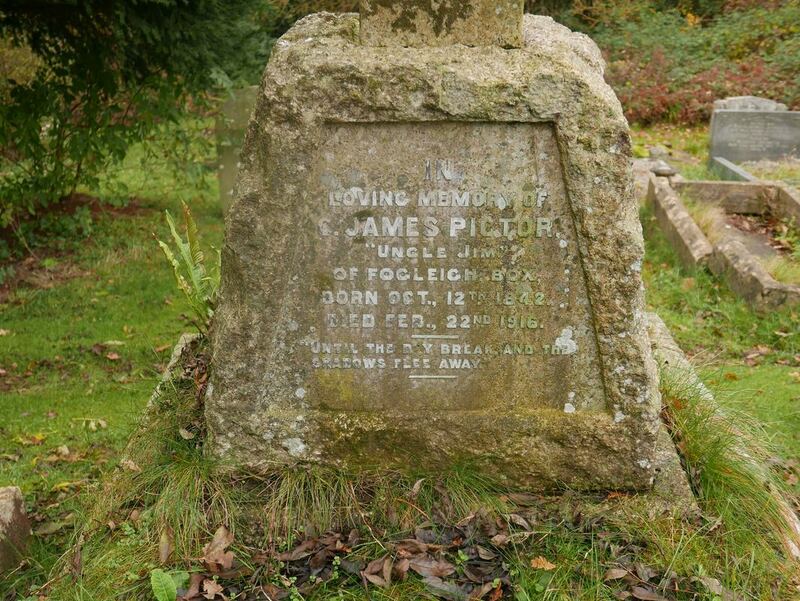 Job Pictor (b 1802 in Ramsbury, d February 1857) married in 1827 Mary Fluester (1806 - 25 December 1872). Job was a quarry mason, a builder and in 1851 was farming in Box village. In 1861 the family were living at Box Quarries by the Road. Frederick Job (1857 - 1859).